DEVASTATING bushfires which ravaged the region were unprecedented, but not unforeseen. Landowners, rural fire fighters and even the Minister for Fire and Emergency Services raised concerns about unsafe fuel loads and a more extreme fire season more than 10 months ago. In January this year, Rural Fire Service acting regional manager Inspector Craig Magick told the Daily Mercury the Mackay region was considered an "area of most concern" approaching the fire season. He said debris from Cyclone Debbie and drought conditions resulted in an increased bushfire threat. Minister for Fire and Emergency Services Craig Crawford last week acknowledged his departments were aware that a hotter, drier and longer fire season had been predicted since May. But, still no action was seemingly taken to reduce the risk. Shadow Minister for Fire, Emergency Services and Volunteers Lachlan Millar said he and many others want to know why fuel loads and fire breaks were not managed in state controlled national parks. "We need to get to the bottom of some of the significant things that happened," Mr Millar said. He is calling for a parliamentary enquiry which would investigate why and how these fires got so out of control. Mr Millar claimed the state government failed to act despite the prior knowledge that the region would experience a much high bushfire threat. "(It is) neglect by government. They should have taken these warnings on, they should have acted on them right away because the result we have had the last 10 days is evidence of not taking up those warnings," he said. When asked if he thought the parliamentary enquiry would conclude current vegetation management laws were inadequate, Mr Millar could not provide a clear answer but implied the laws may have contributed to the destructive fires. "The problem we have is vegetation laws... that have very little understanding about how this country, and country in national parks actually needs to be managed," he said. Mackay councillor and grazier Marty Bella has joined forces with Mr Millar despite having opposing political views to his LNP counterpart. Mr Bella said the "confusing" nature of the Vegetation Management Act had contributed to the inability of landholders to be able ensure the safety of their property. "It is very difficult. The first thing is that it is very hard to find out who to talk to," he said. "We are trying to get some realism into the debate about the way Government treats agriculture in regional and rural areas. "What we are asking that government allow us to manage our land properly." Mr Bella said he could not decide if current vegetation management laws were "negligent" or "stupid". 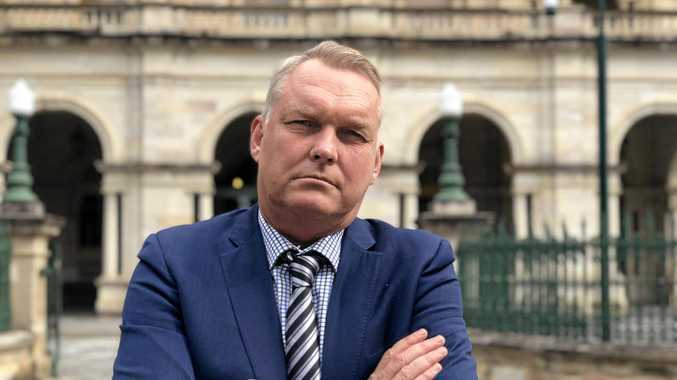 In response to the claims, a spokesperson for Minister for Fire and Emergency Services Craig Crawford said a review by the Inspector-General of Emergency Management happens after every major natural disaster in Queensland. The spokesperson said this will be the case after the most recent bush fires. Standard for Disaster Management in Queensland and any lessons that stem from that," they said. "Let's be clear - farmers have always been allowed to clear fire breaks. "It's disappointing that so soon after the enormous effort put into fighting these fires right across this region, we're seeing the LNP trying to make this a political issue."